[CLOSED] Euro Jackpot contest #7 - win up to 32 SBI!!! Here we go again ... new round - new chances! Yesterday we had two winners again. @cryptictruth and @summisimeon were the lucky ones who received 1 SBI for lifetime upvotes on their future posts. Did you noticed that almost everybody was a winner? Due to a feature called @steem-bounty added to my post you don't only have the chance to win SBI but you will also receive a (more or less small) amount of STEEM. Every qualified answer will receive a vote from me between 20% and 100%. You might say: "These are dust votes and do not help me!" Not in this case. Depending on my vote on your comment the @steem-bounty will be distributed when the post is paid out. For an example of the pay out scheme click here. How do I distribute the bounty with my votes? As said the bounty is an additional feature - but what about the SBI? SBI stands for @steembasicincome and if you own one or more SBI you will receive a vote for every post you will upload ... for a lifetime. Comments made after Friday 12th of October 2018 at 7 PM CEST (5 PM UTC) will not participate in the contest. Thanks for your support again and participating even with your low RC! Did you win some money the last weeks, or is the euro jackpot the lucky one so far? the last 6 contests I did not win a cent with the tickets 🤣. So for me, it's more an investment in steem and I'm glad that we still have winners every week. Too bad 🙁. Now I know again why I usually don't participate in lotteries. Hopefully you (and I) have more luck this week! Indeed I also never participated for the same reason. And as said: the investment goes into steem with a minimal chance to win a higher amount. That's why I see it as a win-win situation. An investment that at the end doesn't cost anything but brings profit for several people - directly or indirectly. Thanks for participating again @wonderwop! I am not sure if we are allowed to pick the full ticket or not but here is my guess. 7 - 11- 27-42-18 are the numbers on your ticket # 1 won't be. if you want to go for two numbers you can go for 7 and 11 indeed. 11 is on my ticket and 7 would be your personal bonus number. 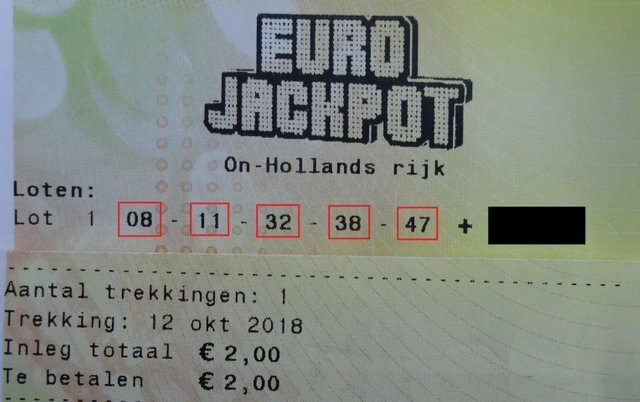 Choose at least one up to five numbers of my ticket (08 - 11 - 32 - 38 - 47) plus additionally one number that is not on my ticket between 1 - 50 (the highest number that can be drawn is 50). You'll receive a part of the bounty plus have the chance of lifetime votes for all your future posts. Sorry, it's easy to forget voting with this partiko app. I appreciate your feedback! Yeah, thanks for understanding too . . . Thanks for participating and good luck @pauliinasoilu! Glad to see your contest really taking off and going well! :) I will go will 11 and 25 as a bonus this week. Upvoted and resteemed. 32 and 04. 7 - 12- 24-39-45 on ticket # 1 not. @funnel going for 4 or perhaps ever 12 SBI!!! I would like to get 38 and 5. Choose at least one up to five numbers of my ticket (08 - 11 - 32 - 38 - 47) pus one number that is not on my ticket between 1 - 50 (the highest number that can be drawn is 50). Your choice: 49 is not on my ticket and 97 can't be drawn. Thanks, @chetnaag and good luck to you! @pundito has set 0.500 STEEM bounty on this post! @summisimeon has earned 0.455 STEEM. 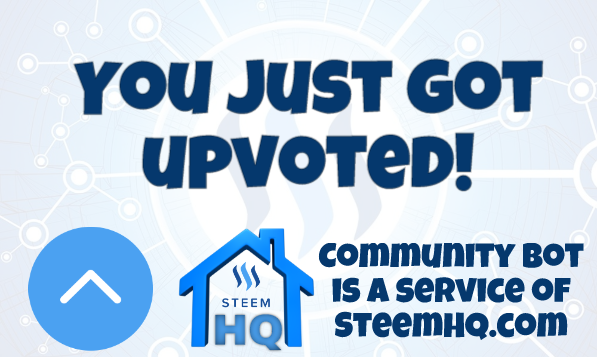 0.447 STEEM from the creator of the bounty and 0.008 STEEM from the community! Your UA account score is currently 2.348 which ranks you at #17953 across all Steem accounts. Your rank has dropped 100 places in the last three days (old rank 17853). In our last Algorithmic Curation Round, consisting of 181 contributions, your post is ranked at #69.